You had a lot of questions yesterday and I have lots of answers. Notice similar answers to many of the responses. I’m not going to change your program Heidi. Refer to the two protocols from yesterday and I suggest you use a combination as you’re currently doing. 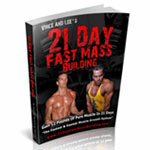 Increase the intensity until you hit your top goal pace for the 20 minute workouts. And build up to 10 km on the long run. Alex, On your off days which means on the days you do not play basket ball or lift weights. Yes, trade in your jogging workouts for intervals if speed and power are your goals. Start with 30 second sprints and 90 second rest periods. Hey Dan. 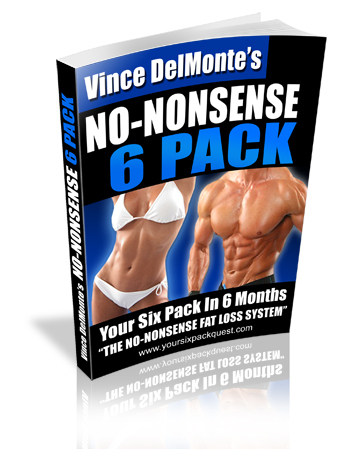 Prioritize three weight training workouts, using my No Nonsense Muscle program, every 48 hours to take care of your muscle goals. Do your martial arts on their own days. Perform 10-20 minutes of interval cardio after your weight training days. Put that plan into action for 6-weeks and record everything you learn. Hi Charles. Swimming before your weights is fine. You may want to try it switched around just to double check which one allows a better weight training workout. You’re confused right now with too many options. Make ONE plan and ride it out for 4-6 weeks and learn all you can. I suggest 1 day of just swimming and 1 day of just weights. Three 1 hour swims and three 1 hour weight workouts. Join a swim team so you start swimming harder. Find a workout partner or trainer to push you on your weight days. Sounds like you’re intensity needs to be cranked. Yo Phil. You’re never wasting your time if you have reasons for doing something. Even if it’s too watch Oprah while you do your cardio. If you’re getting results, you’re never wasting your time. You’ll only know if interval cardio works until you try it. Yes, you’ll burn more overall calories with interval training if done properly. Start doing 30 minutes of interval cardio 2x a week and 1 easy 30 minute cardio workout. If you’ve never done interval cardio, you’ll see some rapid results. I prefer to do my cardio program early in the morning to take advantage of depleted glycogen stores and more fat mobilization. I like weights in the evening because I’m more alert and have a few meals in me and since I’m a hardgainer this gives me an edge to build more muscle. Performing your weights as far away from your cardio is the best plan for muscle building but not necessary for fat loss. I prefer cardio after a workout because I prefer more energy for more weights. It’s personal preference and the best way to bust a plateau is to do the opposite of what you’re currently doing. Only you can answer that Natalia. Test both methods and let us know what you learn about yourself. I would say it’s better to go more frequently for a shorter time so your intensity is higher and you get more metabolic boosts throughout the week. This is fine Aksahy. You’ll have to test it and learn from doing, not asking about it. If you hit the gym 5 days a week you could do interval cardio after your weight 3 of those times and long, slow cardio 2 of those times. If you can do all your cardio in the am and weights in the pm, you’ve got a great schedule and if this amount of training does not burn you out, go for it. Your body is smarter than anyone else so listen to it for feedback and make changes up or down based on it. If you want to see the exact cardio workouts and ab workouts I did for the last 10-weeks before the World Fitness Model Championships last year, make sure to grab my book: Your Six Pack Quest: 6 Pack In 6 Months Guaranteed. I shed 23 pounds of fat and gained 8 pounds of muscle in the last 10-weeks before my shot – the most amazing results I’ve ever experienced and it had a lot to do with my unique and never-before seen cardio methods in this book. 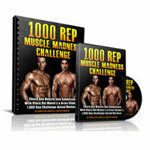 Grab a copy to ensure you’re ripped for New Years 2010 this year, it’s only 4 months away! 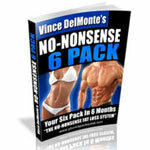 HI VINCE, I AM DOING WEIGHT EXERCISE FOR LAST MANY YEARS. I AM TRYING TO BE MASCULAR BY CHANGING MY EXERCISES EG. SOMETIMES HEAVE WEIGHTS WITH LESS REPS. OR SOMETIMES LIGHT WEIGHTS WITH HEAVY REPS. BUT I HAVE NEVER DONE CARDIO LIKE RUNNING OR SWIMING IN A FEAR THAT I MAY LOOSE MY MUSCLE SIZE. 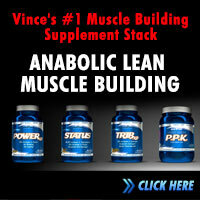 WILL CARDIO HELP ME IN GAINING MASCULARITY (INCLUDING ABS) IF I DAY TWICE A WEEK OUT OF 6 DAYS OF MY WEIGHT TRAINING? PLS GIVE ME A SOLUTION. I’m just 16 yrs and I am of normal build for my age. During my daily workouts I use your tips and do some exercises from books of Charles Atlas which my father gave me. As I want to add weight, do you still recommend me doing cardio? Or is it better if I do high intensity training and weight training (dumbells 11kgs), which I like more than Cardio. I had a question from the previous blog. Can someone answer it? Sorry for being off topic here. @John. you should take your post workout drink when the ENTIRE workout is done. After weights and cardio. I tried doing my cardio post workout but I just couldn’t (I was on the recumbent bike; on a treadmill on another day). My legs felt like they were about to burst. Then I had a strange feeling of strain in my glutes/quads whenever I started walking in the morning, but now I’m doing cardio at least 8 hours before my weight workout and that’s not an issue anymore. 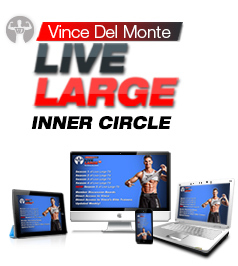 So definitely agree to Vince saying that you should do whatever it is that works. Many thanks. These last 2 posts are great. 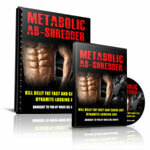 Too many people believe that ALL cardio will destroy muscle gains. If this were the case there would be no such thing as a heavyweight fighter. I personally prefer weights in the early afternoon and cardio at night.It just works with my schedule and I noticed the most gains training this way. I think the real key is intensity more then time of day and these are the times I can put the most into each type of workout. I agree early morning cardio yields the best results for fat burning. Good answer Vince, thanks for the info and reliable advice.